There’s so many Angry Birds games out there that listing them all would make for an incredibly obnoxious opening paragraph. Originally released in 2009, I’m not sure anyone could’ve predicted that Angry Birds would turn into the worldwide empire it has since become. It’s been a long road, and Rovio is no stranger to sequels, spinoffs, and movie tie-ins at this point so I’m not sure anyone was surprised when Angry Birds Star Wars II was announced. Regardless, we loved Angry Birds Star Wars (Free) in our review, so it’d only stand to reason that the sequel is just as good- If not better. 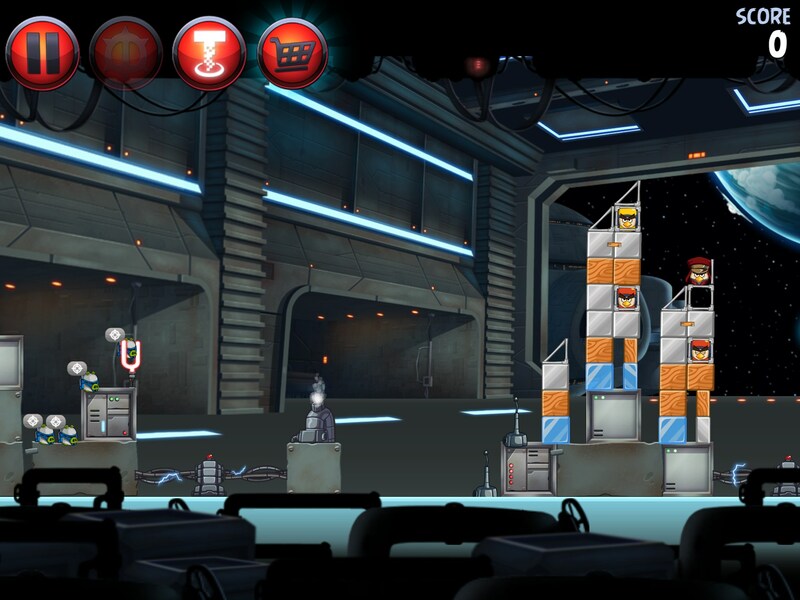 While the original Angry Birds Star Wars followed the original trilogy, Angry Birds Star Wars II (Free) takes a step backwards (Or is it forwards?) to the more-recently released prequel trilogy. Initially, this puts you in charge of Obi-Wan Kenobi and Qui-Gon Jinn birds, with the rest of the cast joining in later levels. Sure, it’s easy to groan at the prequel trilogy, but like Angry Birds Star Wars the movies really only serve as the absolute most barebones frame for the levels of the game to progress through. Essentially, instead of just being in some random nondescript Angry Birds location poppin’ pigs, you’re doing it on planets like Naboo. More interesting than the story framework, however, is the ability to actually play as the pigs for the first time ever in an Angry Birds game. Unsurprisingly, when you join the “pork side," the pigs play almost exactly like the birds, but with their own on-tap power that fits their character. Playing as the pigs provides a neat spin on the gameplay, but, Bad Piggies (Free) is still my pig game of choice. Like other recent Angry Birds games, an in-app purchase currency is alive and well. The game generously throws these credits at you for completing various achievements (often without you even trying) which you can then use to buy either individual extra birds to use, or bundles of birds for a little extra savings. Also like the rest of the Angry Birds franchise, this sort of thing is totally optional- Especially considering getting three stars on every level often seems to be more of an exercise of using the fewest birds possible instead of going nuts on extra birds you’re buying. Aside from IAP, the other way you can get extra birds is by using Angry Birds Telepods, which are little figures that you place on top of the front-facing camera of your device to unlock that bird in game. No retailer around me has any clue what I’m talking about when I call and ask for Telepods, but from the looks of it every store that stocks Angry Birds toys should soon be carrying the full line of Angry Birds Star Wars swag, if that’s what you’re in to. It’s tricky reviewing Angry Birds games now, as I’m really not sure what can be said anymore about these games that we haven’t already in reviewing the half dozen or so other Angry Birds games. Everyone knows how they play, everyone knows the premise, and you’d be hard pressed to find someone who hasn’t at least tried (and vaguely enjoyed) an Angry Birds game. Like its gaming forefathers, Angry Birds Star Wars II is a great game. There’s a reason why the Angry Birds global dynasty exists, and that’s because Rovio knows how to make killer video games that appeal to gamers of all types and all ages. ABSII is fun as heck regardless of whether you’re just breezing through levels with the included birds, or slamming your head against the three star wall. Even calling it a “refinement" of the originals seems weird, as Rovio perfected the Angry Birds formula years ago. If you’re still even vaguely interested in Angry Birds games, you need Angry Birds Star Wars II. Hell, even if you haven’t played an Angry Birds game in a while, it’s still worth checking out, as firing off evil Boba Fett pigs at unsuspecting birds is just as much fun as you’d expect.